So, this week I decided to dedicate all my posts to skincare. As I am getting older I have realized how important it is to take care of your skin. 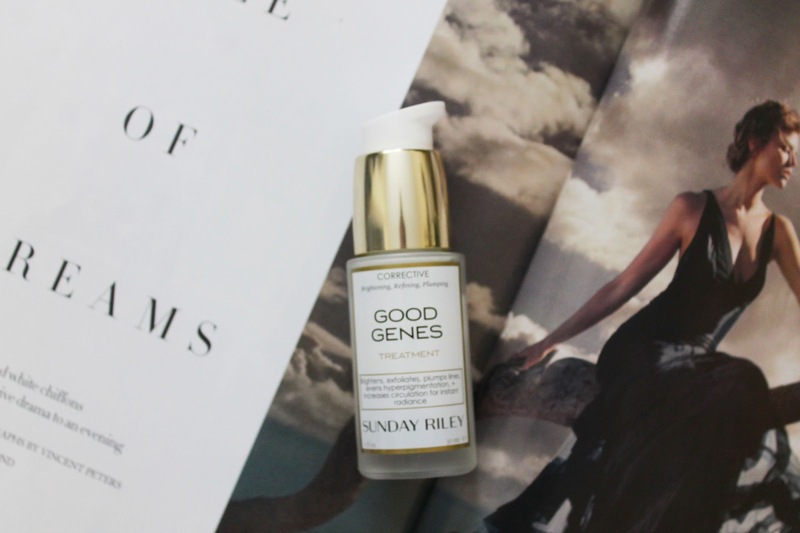 First up this week is Sunday Riley’s Good Genes ($105). This has been on my list for the longest time. I finally gave in and bought Good Genes over a month ago. And I have loved it ever since. I use it at night after cleansing and before moisturizer. It isn’t very thick, which I love, and it sinks into my pores one, two, three. It leaves my skin feeling nice and plump the next day. Sunday Riley describes this treatment as leaving the skin brighter, renewed, and supporting natural circulation to create a smoother, more vibrant complexion. I truly believe in this product. I definitely feel the change in my skin. What is your favorite skincare product ?? Have you tried the Sunday Riley Good Genes ? ?